To be clear this does not mean that you can never use edge control, but using it everyday is totally out of the question. For many of us, our edges are one of the more fragile areas of our hair. 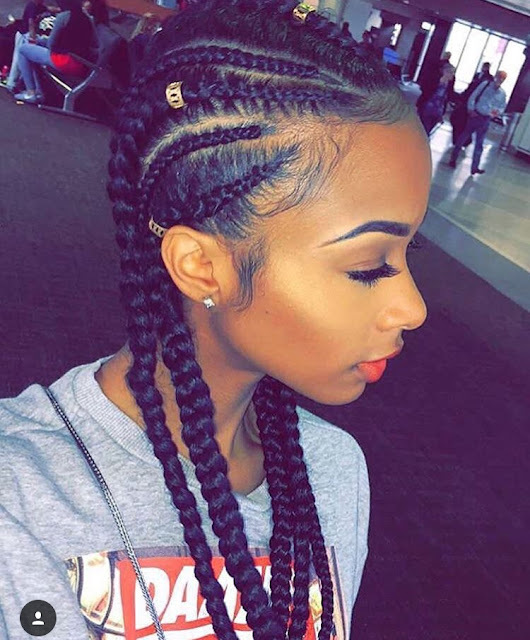 When braided too tightly, manipulated too much, or slicked backed on a regular basis this creates tension which overtime will break off your hair. Edge control tends to be a thick consistency so that it can provide the hold needed to sleek your hair down. The problem is the heaviness of the product may be clogging to your pores making it hard for your scalp to breathe and if you consistently slick your hair back this is just an overload of stress being put onto your edges. Reserve your edge control for special occasions, a hot date, an interview, a night out…you get the gist. Use with caution and you will be fine. Occasional use will do no harm; daily usage should be avoided at all costs. Simply use your favorite butter or cream on them and tightly wrap a silk or satin scarf around your head to lay your edges rather than brushing them down (to avoid over manipulation) and using edge control (a heavy weight product). How do you smooth your edges?